RPG stands for Role-playing games, It’s one of the most popular kind of games on PC and game console. And since the smartphone market is developing so rapidly, a lot of game developers started to develop RPGs for mobile operation systems like iOS and Android. The experience is good on mobile devices thanks to the powerful hardwares they pack, but when it comes to playing games, it’s always better to have a bigger screen. And that’s one of the reasons why people love having an iPad, for playing game. If you are a game lover, check out the content below to see 5 of the best iPad RPG games. Below are 5 of the best iPad RPG games you can play, they are basically in different genres, you should be able to find you think is the best RPG games for iPad in them. 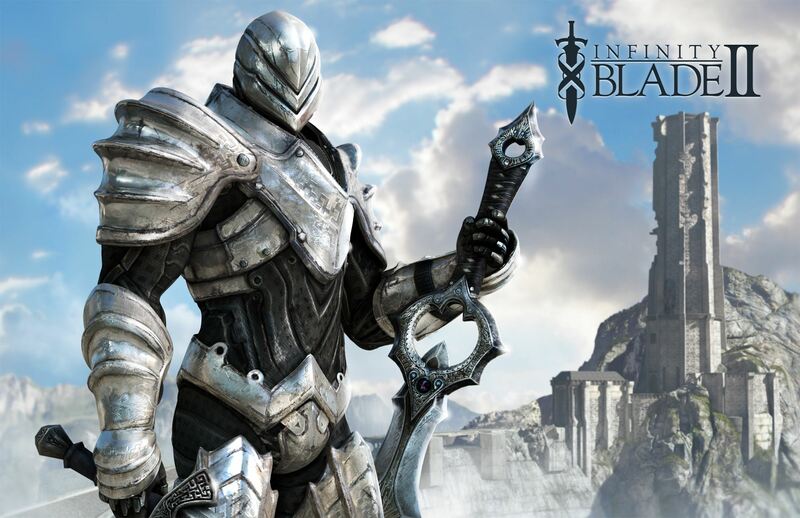 If you like playing games on iPad or iPhone, you must’ve heard of Infinity Blade. It’s a role-playing fighting game developed specifically for iOS devices which runs on the Unreal Engine. In the game you will be challenged with one-on-one battles against different characters and monsters which would lead you to the final battle with the immortal God King. The control system is simple and easy to operate, you swipe the screen to attack and parry, and tap the screen to dodge and block attacks from enemies. The game was well received by gaming critics and the company released two sequels later: Infinity Blade II and Infinity Blade III. 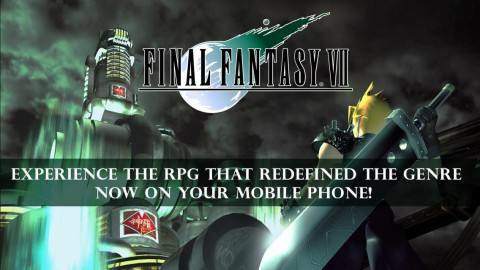 The Final Fantasy VII on iPad is the remastered version of the PlayStation RPG classic. In the game you will be challenged with the tasks of defending the world of Midgar against the Shinra Corporation and unveil the mysteries of Jenova. This classic jRPG on iPad features Active Time Battles system and provides highly customizable gameplay. The charming retro visuals and optional random encounters are just as good as you can find on the PlayStation. And if you want to focus more on the game and spend less time on the grindy random encounter, the easy cheat codes would be able to help. As a video game based on the classic sci-fi movie franchise, Knights of the Old Republic does live up to our expectation. The game has shaped up to be one of the best role-playing games of all time. 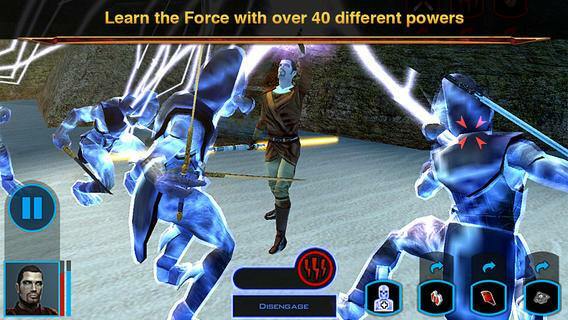 In the game you will be the Jedi knight and you can choose to be on the light or the dark side. The overall gameplay on iPad is straightforward and it will take up about 2.5GB of storage space on your iPad. 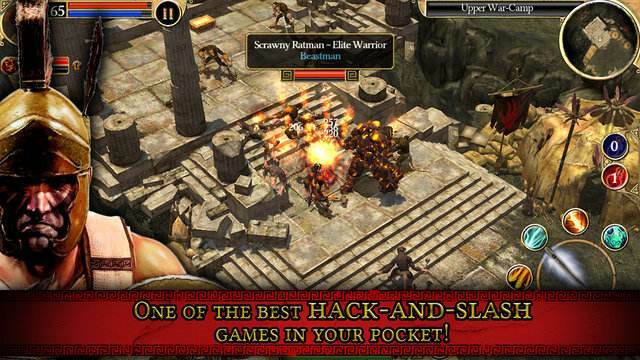 Titan Quest is a mobile game transformed from the PC version and the quality of the game is still in a high-level. The story takes place in the ancient world in which you need to fight against monster from Greek, Egyptian and Asian Mythology. Your avatar in the game is highly customizable. After creating your own avatar, you can embark on a 60-hour campaign with 3 difficulty levels to choose from. 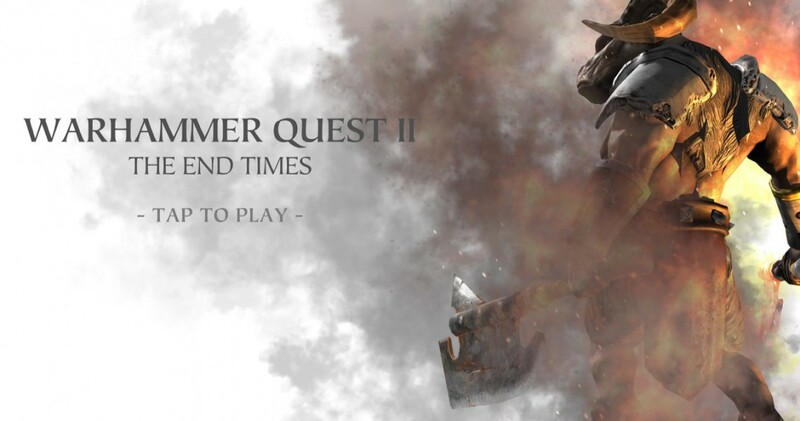 In Warhammer Quest 2: The End Times, you will be controlling heroes from different races of the Warhammer world to embark on a quest looking for a mystic artifact, during which you will plunder dungeons and fight against different enemies. The game originally features 10 missions and side quests, and there are additional missions and characters available if you are willing to pay for it through in-app purchases. After finding the best RPG for iPad, you can start your own adventure in the game. Most RPG games would take a long time to complete all missions. So the game data is important as once you lose it, all your previous efforts would go to waste. It’s important to back up your game data when you’ve played the game for a certain period of time to prevent data loss. To back up the data of your iPad RPG games, you can either go with iCloud or iTunes. And iTunes is obviously the better choice here as the storage space on iCloud is limited and those iPad RPG games would take up a lot of spaces and iCloud might not have enough storage space for it. So here I would show you how to back up your iPad RPG game data using iTunes. 1. Make sure that you are using the latest version of iTunes. Open iTunes and connect your iPad to your computer with the USB/lightning cable that comes with it. You can use a third-party USB cable but the original one is preferred. Later you should see the icon of your iPad appear in the upper left section of the interface, click on it to go to Summary. 2. 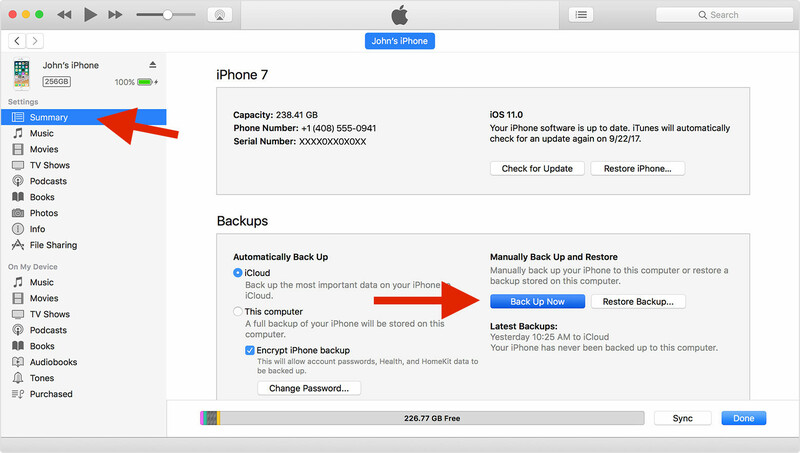 In the Backups section, there’s a Back Up Now button, click on it to back up your iPad. 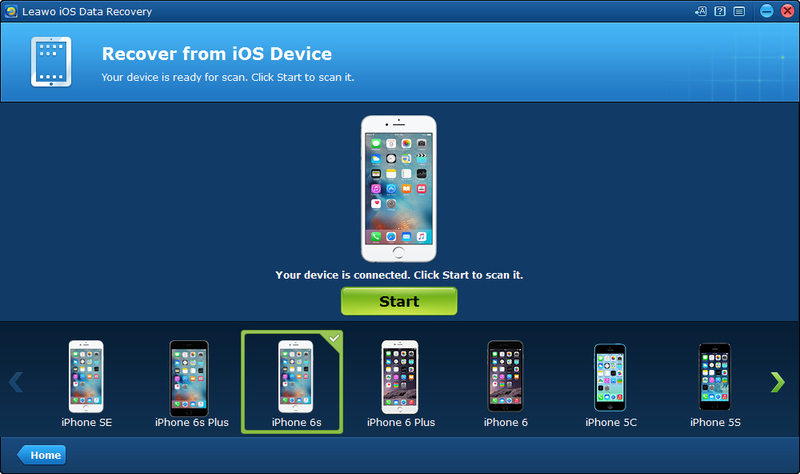 In this way you will have all the data backed up with iTunes at the same time you back up the data of your iPad RPGs. 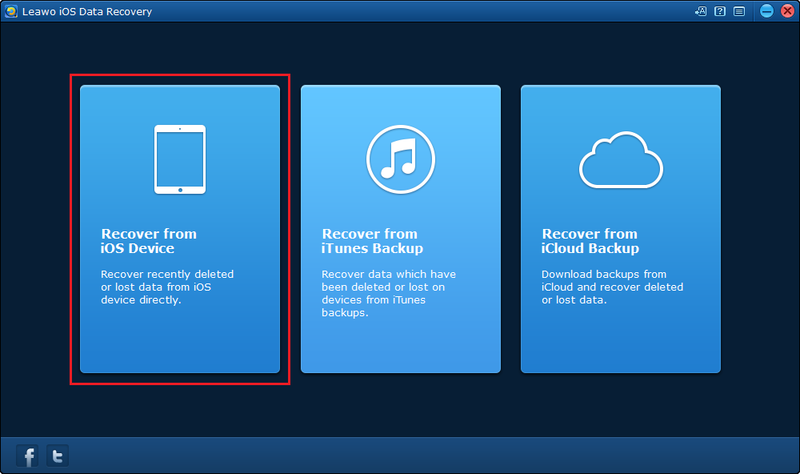 It’s good to have your game data backed up, but when you want to recover something from the backup other than the game data, then it could be a disaster because when you restore your iPad from the iTunes backup, the new game data will be overwritten by the game data in the backup. So it’s better to use a backup extractor to extract files from the backup so you won’t have to worry about your game data being overwritten. Here I would recommend Leawo iOS Data Recovery, it’s a data recovery program as well as a backup extractor for iOS devices. You can use it to easily extract 14 different types of files from the backup to your computer without having to restore your iPad with the backup. 1. 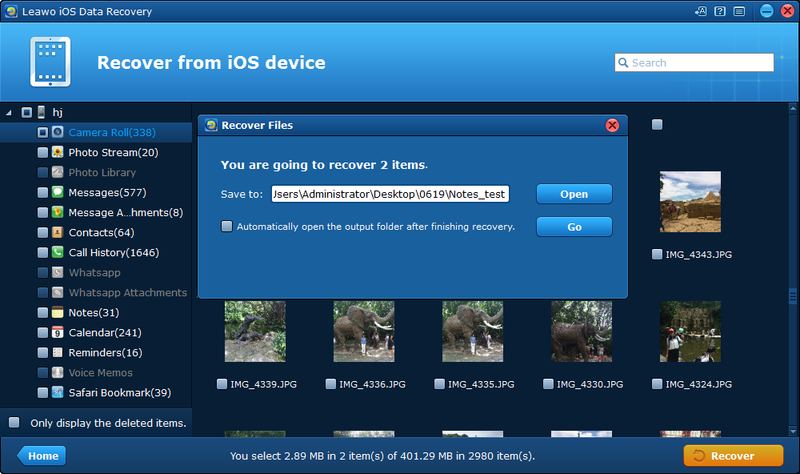 Open Leawo iOS Data Recovery, move your mouse over to Recover from iOS Devices and click on it. 2. Plug your iPad into your computer, when the program shows that you’ve successfully connected your iPad to your computer, click the Start button in the center and Leawo iOS Data Recovery will start to scan your iPad. 3. After the program finishes scanning your iPad, it will provide you a list of the 14 types of data on the left of the interface. 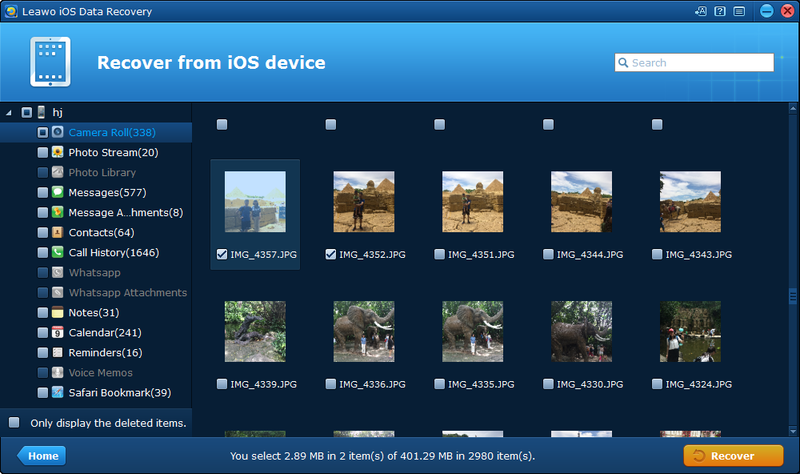 Click on the type of file you want to extract from the backup to check out the related files. Select the files you want to extract and then click Recover. 4. Set the output directory for the output file in the following window by clicking the Open button on it. After setting the directory, click the Go button to start extracting the files from the backup. With the best iPad RPG games recommended to you, you should be able to find one iPad RPG to enjoy. If you are also looking for other games, check out our recommendation of 5 of the best free iPhone games in 2017.